Unilever has collaborated with animal protection leader Humane Society International (HSI), in a bid to throw its support behind the global ban on animal testing for cosmetics. The move will see Unilever supporting HSI’s global #BeCrueltyFree initiative, which looks to lead legislative reform in key beauty markets to prohibit cosmetic animal testing and trade, consistent with EU model. Both organisations have also launched a multi-year, open collaboration to develop capability across companies and regulatory authorities. This is to ensure safety decisions for cosmetics are based on non-animal approaches and to build capability for the long-term, by investing in the training of future safety scientists in non-animal “next generation” risk assessments, the statement added. In addition, Unilever’s Dove brand has also gained accreditation by People for the Ethical Treatment of Animals (PETA). Moving forward, PETA’s cruelty-free logo will begin to appear on Dove packaging from January 2019 to assure customers that Dove “does not, and will not, test on animals”. PETA will also list Unilever as a “company working for regulatory change”, which indicates that Unilever conducts no tests on animals unless specifically required by law for any of its brands or products. David Blanchard, chief research and development officer at Unilever, explained that animal testing for cosmetics has been banned in the EU since 2013. 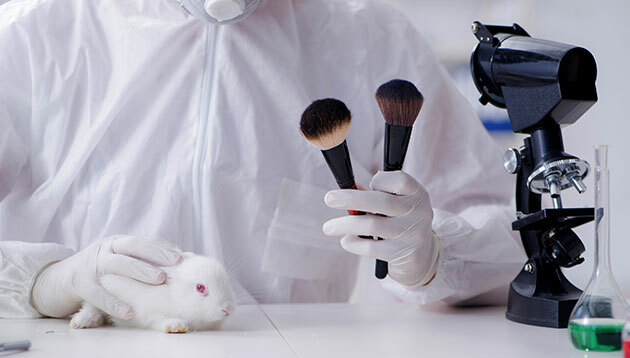 “We hope that an adoption of similar bans in other countries will accelerate the regulatory acceptance of alternative approaches and thereby remove any requirements for any animal testing for cosmetics anywhere in the world,” he added. Unilever is not the first personal care and cosmetics company to have struck partnerships with organisations pushing for cruelty-free products. Last year, The Body Shop launched a campaign called “Forever Against Animal Testing” – in partnership with non-profit organisation Cruelty Free International to ban animal testing in cosmetic products and ingredients globally. Meanwhile, Hilton Worldwide has joined the fight against animal cruelty, also striking a partnership with HSI in 2015 to ensure all hotels in the Hilton Hotels & Resorts, Waldorf Astoria Hotels & Resorts, Conrad Hotels & Resorts, Canopy by Hilton and DoubleTree by Hilton brands will adopt cage-free eggs by 31 December 2017. The initiative also called for pork products must being purchased from suppliers that house breeding pigs in groups rather than gestation crates by 31 December 2018. What does the Trans-Pacific Partnership mean for the Malaysian ad industry? "For those working in the industry we have twelve months to get our stuff together. "..